“Live as one of them, Kal-El, to discover where your strength and your power are needed. But always hold in your heart the pride of your special heritage. They can be a great people, Kal-El, they wish to be. They only lack the light to show them the way. For this reason above all, their capacity for good, I have sent them you…my only son.” ~Jor-El (Marlon Brando), from “Superman” (1978). To me, this is Superman. This is what he stands for and what he is for us. Someone not from our world, but has learned from us and has become something greater than his heritage would suggest. Now he takes those virtues of justice, kindness and selflessness and uses it as a beacon to show the world something to aspire to. Superman was never about his strength and abilities, but a reminder that you don’t need superpowers to be a good person. And this is exactly why I despise “Batman Vs. Superman: Dawn Of Justice.” Not only does Zach Snyder’s vision of Superman not aspire to the vision we love of the Man Of Tomorrow, but it seems at complete and opposite odds with that Superman. This alien doesn’t give a damn about what happens to us and couldn’t care less about the damage he is causing to the planet. It took me a while to realize, but I finally figured out why this version of Superman is so unlikable – The only thing he cares about on Earth is Lois Lane (Amy Adams). He admits it several times throughout the movie that “she is his world.” The only time Superman ever steps into a situation is when she is endangered, usually because she puts herself in that situation. And every time this happens, Superman kills people. Usually lots innocent people. Yeah, Jor-El, your son really is being that light humanity needs to show them the way, isn’t he? There’s a scene early on the film where Lois is taking a bath and Superman/Clark Kent (Henry Cavill) returns home from a long day of murder. She tells him that he’s all over the news and the Senate is holding a meeting on what to do about Superman. He shuts her up, saying that he doesn’t care what other people think, and proceeds to get in the tub, with his clothes still on, and makes out with Lois. After this scene, I was immediately detached and uncaring about Superman. He freely admitted that doesn’t care about the worlds affairs or what his presence is doing to the world. He doesn’t care that he had to murder several people to save Lois, he doesn’t care that most of the world is afraid that we might have a new tyrannical all-power leader that could wipe humanity out in instant if he felt like it. All he cares about is his nookie. That is not Superman. That is a selfish spoiled child who isn’t afraid to throw a temper-tantrum if he doesn’t get his way. Yes, this version of Batman kills. Not only that, he uses gun. Lots of guns. You know what separates Batman from the thugs and villains he is constantly hunting down without any remorse or pause? He doesn’t use guns, and he doesn’t kill people. Those are Batman’s only two rules, because if he did that, he wouldn’t be any better than the man who murdered his parents. Yet this Batman whips out a massive gatling gun, mowing down dozens of henchmen and blowing up several cars full of more people simply doing their job. Then he attaches a tow cable from the Batmobile to another car and drags it around for a while, with the passengers still inside, until he lets them go and watches the car explode, as it hits another car probably killing even more people. The closest explanation I can come up with is that the executive producers of DC Comics wanted to differentiate their heroes from those seen in the Marvel Cinematic Universe. To give us something wholly unique from Iron Man and Captain America. But here’s the thing to keep in mind – these are supposed to be heroes. The guys who don’t just stop the bad guys, but protect the innocent, fight for what’s right and give people something to live up to, so that they can help to create a better world. This version of Batman and Superman are not heroes, or at least they don’t act like heroes. They take whatever force is necessary to achieve their goals, and silence anyone who happens to get their way. That’s the logic of a villain, not someone who wants to create a better humanity. Because of this, it was impossible for me to care about Batman’s struggle to stop Superman from destroying the world, or Superman’s insistence that he’s here to help. “Batman Vs. Superman” also shares many of the same complaints I had with Zach Snyder’s previous film, “Man Of Steel.” Namely, the film is boring. Actors like Henry Cavill, Amy Adams, Diane Lane and Holly Hunter look lost and lack any basic human emotions in their delivery, often going to a with blank stare as they watch the Capital Dome blow up. The color scheme throughout the film is bland and lacks any vibrant colors. The once bright and beautiful Superman costume, known for its eye-catching blue and red colors, have faded and look almost grey and dull. All of the fight sequences take place at night and lack proper lighting to make any of the characters stand out, making it all look like a big grey mess. It’s not that it is hard to tell what is happening, but with the frenetic camera constantly moving as if operated by a child who can’t make his mind on who to focus on, especially during the last battle, and the dreary color scheme, it makes most of the fight scenes unappealing. But don’t worry, the fight scenes are few and far between. Most of “Batman Vs. Superman” is spent with our “heroes” contemplating their existence, having superfluous dream sequences, and making lots of allegories to Jesus. If Superman isn’t talking about how terrible Batman is, they’re making a comparison between him and Jesus and how he’s here to save us from our sins. 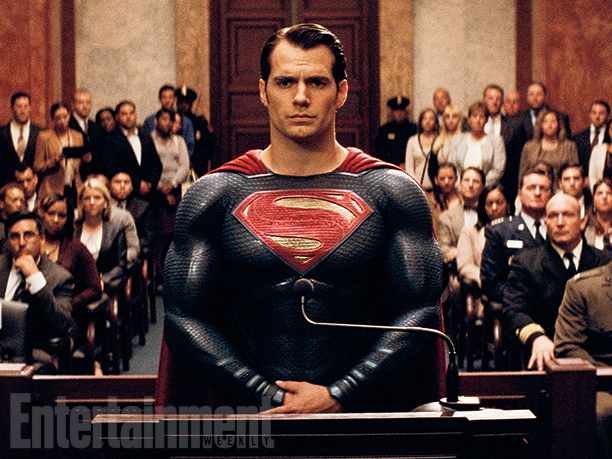 Like we didn’t get enough of that in “Man Of Steel” already. This movie could not be more pretentious if it tried. But above all else, the reason “Batman Vs. Superman” doesn’t work is that is isn’t fun. I could forgive the many flaws in the color scheme or the acting, and even overlook Zach Snyder’s interpretation of Batman, if the film was enjoyable to watch. But the film is far too dark for it’s own good, never taking advantage of the fun scenarios of having two iconic superheroes in the same film. The first conversation between these two legends is about how Batman needs to hang up the cowl before Superman has to put him down, with Batman then asking Superman if he bleeds. 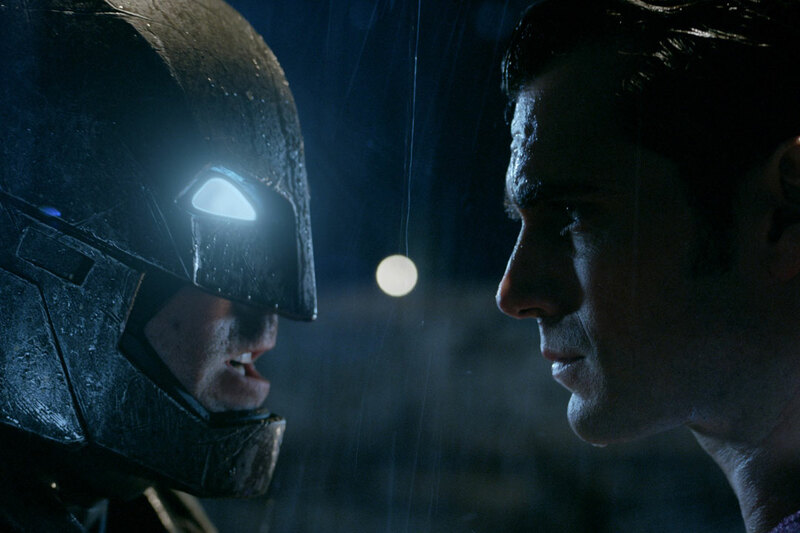 Rather than seizing the opportunity to have Batman and Superman interacting with each other, even having one of them being played to the well-respected Ben Affleck, the film is far too absorbed in its need to have these two despise one another and do little more than glare at each other. There was no point in this film where I smiled. I never felt like what I was watching was triumphant or grand, just unnecessarily dark. There were no jokes to speak of, just set up to get to the battle between the title characters. However, I will say there was some good that came out of this. Not every actor was bland this time around, with particular improvement on Laurence Fishburne, who had some good moments where he got to verbally beat down Clark Kent and Lois Lane, trying to keep their antics in check. Jeremey Irons as Alfred was a nice fit, even if they didn’t give him much to work with in the film other than being Bruce’s mechanic. But the best part of the film was certainly Ben Affleck as Batman. 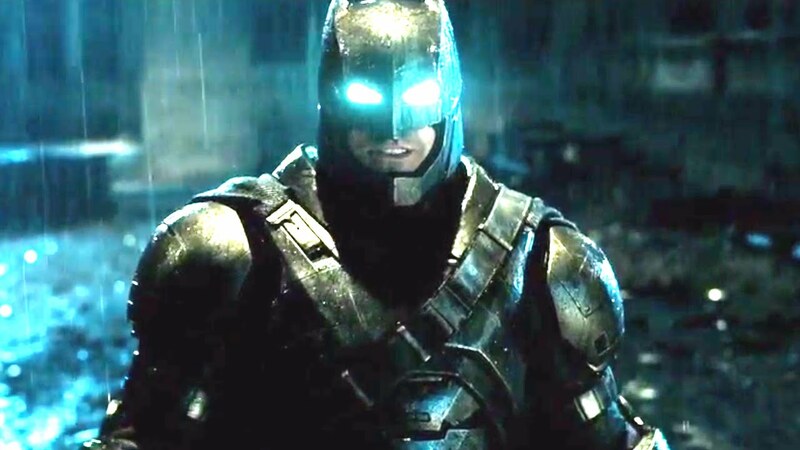 I don’t blame Affleck for the path Batman’s character took throughout this film, for that I point to Mr. Snyder. He is doing his best to bring some life to this character, as we watch the trauma set in and the guilt of being powerless to stop these events takes hold. First he can’t do anything to stop his parents murder, and now Superman destroys half of Metropolis and kills several of his employees. When he’s outside of the Batsuit, Ben Affleck is acting his heart out, as if making up for the dull acting from the rest of the cast. 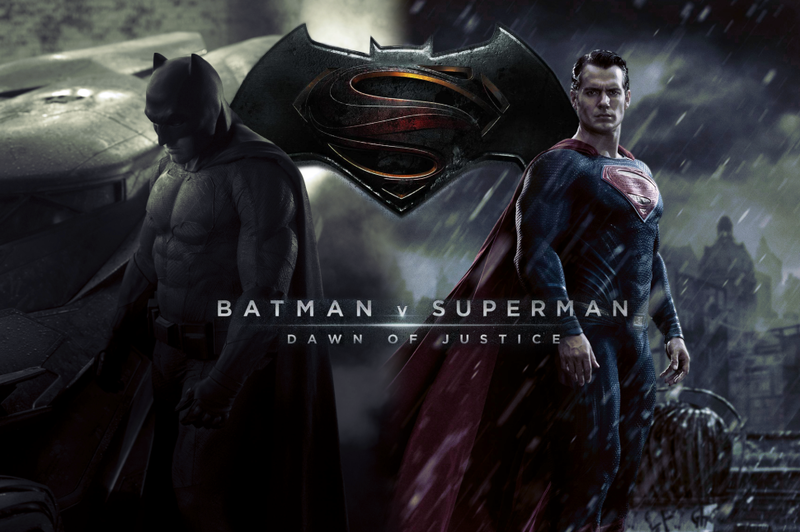 But overall, the bad outweighs the good in “Batman Vs. Superman: Dawn Of Justice.” While some of the acting is improved from “Man Of Steel,” the film moves at far too slow of a pace to keep the story interesting, the characters and color scheme are far too dull and unpleasing to watch, has far too many Jesus allegories for its own good, sees its heroes acting like selfish villains, and lacks any of the reasons why superhero movies are fun to watch, and certainly lacks heart as well. If you want a pleasant and enjoyable Superman film experience, stick with Richard Donner’s “Superman” and be reminded of a hero who puts others ahead of his own needs.